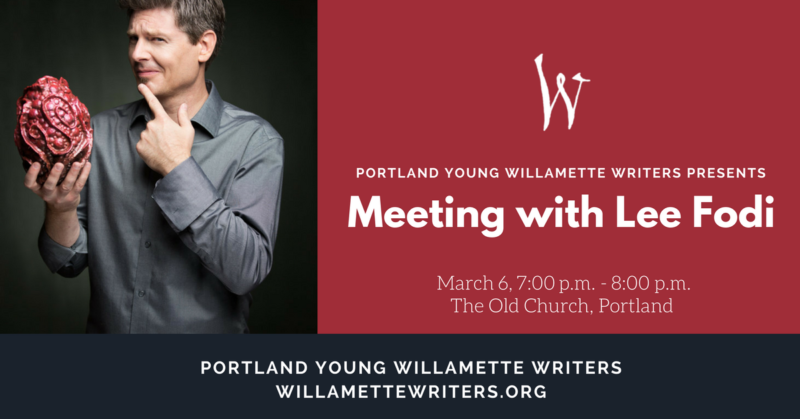 At our Portland Young Willamette Writers March meeting, Lee Fodi will join us via Skype to talk about creating believable worlds in our fiction writing. Lee was a huge hit at last year’s conference, and the YWW’s couldn’t wait to bring him back for more. Lee Edward Födi is an author, illustrator, and educator—or, as he likes to think of himself, a professional daydreamer. He is the author of several books for children, including The Secret of Zoone, which is coming out with HarperCollins in 2019. In his free time, he’s a traveler, adventurer, and maker of dragon eggs. He especially loves to visit exotic places where he can lose himself in tombs, mazes, castles, and crypts. For our meeting, Lee will talk about putting the “build” into “world-building.” As writers, we all want to create strong, believable, and interesting worlds. In this session, Lee will deliver some of his top tips for bringing worlds to life: brainstorming, sketching, mapping, and prop-building. YWW’s will get a glimpse into his studio to see some of the props he has built to help visualize his fantastical worlds and will have plenty of opportunity to pepper him with questions. So come to our meeting! We’re open to any student age 13-18. It’s free, and no pre-registration is required. Just sign in at the door with a parent, and you’ll be welcome! We meet the first Tuesday of the month from September to June, from 7-8 pm at the Old Church at SW 11th and Clay in downtown Portland. See you there!